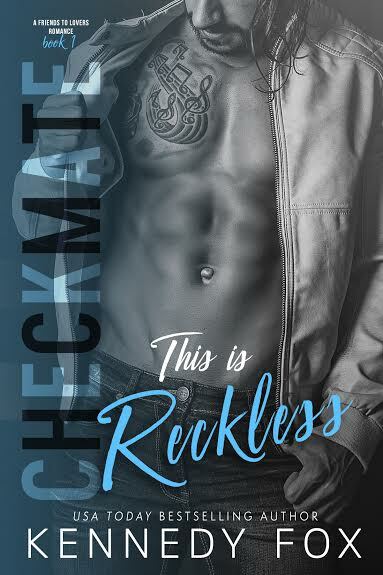 This is Effortless by Kennedy Fox – ARC Giveaway !!! I am so excited to share that Kennedy Fox is allowing me to give away one Advanced Release Copy (ARC) of This is Effortless! Part 2 of the Friends to Lovers Duet that doesn’t release until April 25th. One lucky reader will get to read it before everyone else!!! 3. Choose one of the following options by commenting on this Instagram post with the number of your answer. Make sure to post the number in your comment on my Instagram page! What do you think happened that fateful night in This is Reckless epic cliffhanger?!?!? Giveaway ENDS Monday, April 3rd at 10PM Pacific Time. Make sure to also enter the giveaway for a Checkmate Duet Boxed Set on my previous post here! for making these giveaways possible!